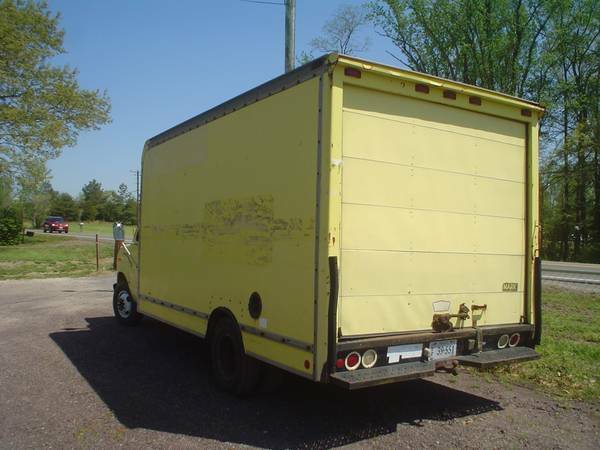 1985 Ford E350 14 foot Boxvan with 460 engine. Automatic. 97,000 miles. Runs good. Has many new parts: Radiator, all belts and hoses, water pump, fuel pump, carburator, battery and cables, plugs, wires, air filter, oil filter, rotors, calipers and hoses. Rear drums turned, new shoes, axle seals, park brake cable, new steel lines on rear end and hose, gas tank removed and cleaned, new gas gauge sending unit, water temp sending unit, heater control valve, windshield wipers, valve cover gaskets, alternator, voltage regulator. Needs exhaust work.